If you are working with clients or customers and you want to make it easy for them to upload a blog post to your WordPress site, there are useful plugins that can help you do this. However, perhaps the easiest way is to have them do it in Microsoft Word. You may have been in this scenario before: you just did work for a client who was pleased or you had a satisfied customer who you think will provide a written comment about your product. This is the perfect opportunity for a testimonial that you could put on your WordPress site or blog. You could just ask your client or customer to send you a comment by email and post it yourself, but that direct approach may seem awkward. Also, having them use a WordPress plugin interface to post it themselves requires some explanation and carries with it a learning curve. In the Dashboard admin panel, create a new user (Users -> Add New). Give this user a generic name, like Testimonial. Set their role to Author and give this user your own email address. A role of Author gives them limited access to your WordPress site if they somehow determine the password through Word. You’ll need to give the user a password, but make it something you don’t use for anything else (or anything important). It’s possible for someone to learn your password through the Word document you’ll create later, so it’s best to make it something that can be changed easily. Under Settings -> Writing, be sure to turn on (check the box next to) XML-RPC (remote publishing). This feature is enabled by default in WordPress versions 3.5 and above. Optionally, if you haven’t already, create a category (Posts -> Category) for your testimonials (something like testimonial makes sense). Create a new Blog Post document (File -> New -> Blog post). You’ll be asked to include your Blog Post URL (WordPress Web address) followed by a /xmlrpc.php. Put in the Author user name (the user example name here is Testimonial from step 1 above). Put in the password you created from step 2 above. Check Remember password. This will allow you to save the password as part of the Word document, so you won’t have to have your client or customer put that information in. The Word Blog Post document then comes up. You can make it very easy for your client/customer to fill out a testimonial by including the instructions on how to do it as part of the document. Be sure to provide them with a category. To do that click the button Insert Category — it’s the third one from the left on the main ribbon in the Word document (see the image below). The category you give them should be relevant to their post so it isn’t just published to the generic Uncategorized category in WordPress. This is a category you created previously, or the one you created in step 4 above. After you’re finished editing the document, save it with an appropriate file name. Avoid spaces in the file name if you plan to email it. A name like testimonial.docx is a good choice. Finally, send your client/customer this document. Ask them to fill it in and click Publish (first button on the main Blog Post ribbon) when they are finished. That’s it. You can send this same document out to as many clients or customers as you’d like to solicit testimonials. Since you haven’t given them the password — it’s encrypted in the Word document — it’s also more secure for you. In case someone tries to abuse this Author role later (for example, by spamming your site), you can just change the password or delete the user. By using Word to solicit testimonials from clients or customers, you can make it easy and fast for them and easy and secure for you. Check out this WPMU.org article for more specifics about this process with Word — their article inspired this post. 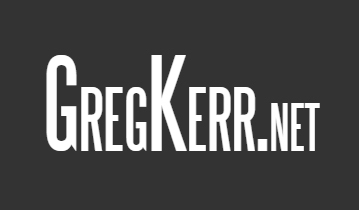 Greg Kerr is a Web design instructor and faculty mentor at Portland Community College.